I know what you're thinking...why would anyone want to make spring rolls when you can just buy them; just let me explain... These spring rolls are filled with the most beautiful ingredients, including fragrant herbs, jackfruit and dried mushrooms, that produce the most wonderful 'meaty' texture and delicious flavours. 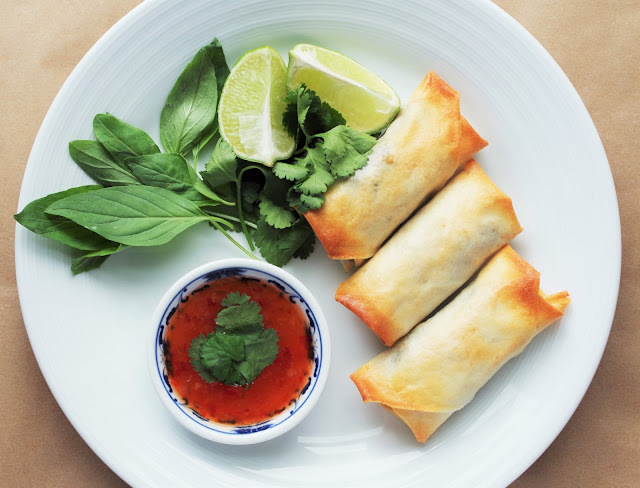 These are also baked, not fried meaning they don't have that horrible greasy feeling that a normal spring roll has; this allows you to enjoy the fresh tasting ingredients, with that signature crunch! It's also really fun! 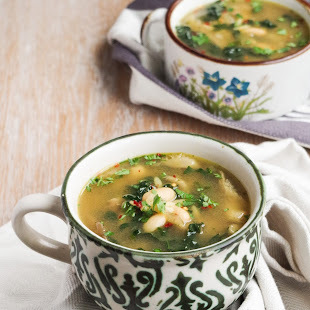 This isn't one of those recipes for when you're in a rush, but for when you want to enjoy the art of cooking and awaken your senses, and trust me, the reward afterwards is more than worth it! And finally by making the spring rolls yourself you know what's in them; you fill them with fresh veggies and wonderful seasonings; these are delicious, 'meaty', crunchy, vegan spring rolls that you just have to try! In the midst of all the chaos, approaching the end of my second year at university, sometimes you just have to stop and enjoy the little things. So my way of de-stressing today was to try something I'd never made before, but again, have wanted to for a while now. It was so much fun and filled with a sense of accomplishment...not to mention 18 freshly baked spring rolls at the end! Sometime's it's so easy to get caught up with schedules and deadlines that we forget to make time for ourselves, so whether it be this recipe, or one you've had bookmarked for 2 years promising yourself that you'd finally get around to it, make time, savour that food and smile. 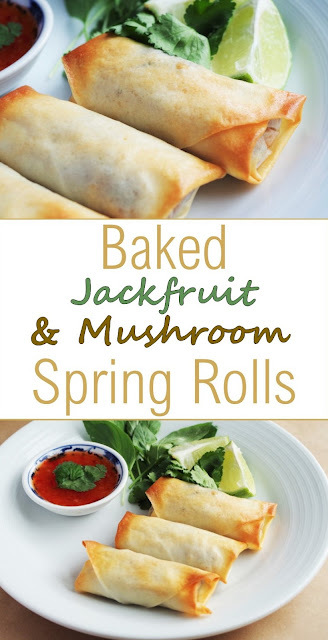 I used a mixture of traditional spring roll veg, with the addition of dried mushrooms and shredded jackfruit for some added texture, combined with a mix of garlic, ginger, 5-spice, soy sauce, lime juice, thai basil and coriander, for that fragrant, fresh addition to the recipe. I then served them up with some sweet chili sauce (shop bought), however if you feel like making your own dipping sauce, there's a great recipe for a sesame-soy based dressing here! Soak the dried mushrooms in a small bowl of boiling water, pre-heat the oven to 180°C and line a baking tray with grease-proof paper. Drain the jackfruit and then cut into small pieces, add to the frying pan with a tsp of sesame oil, then crush 2 cloves of garlic, grate 1 inch ginger, chop 2 spring onions and 3 pak choy leaves, cut the carrot into match stick pieces and also add to the pan with the bean sprouts and 5 spice, cook on a medium heat for 10 minutes. Then drain and chop the dried mushrooms and add along with the soy sauce, lime juice, Thai basil, coriander and cornstarch, stir to combine and cook for a further 5 minutes, stirring frequently. To fold the spring rolls, place the sheets on a plate with a damp tea towel over them. Then you will need to fold the spring rolls, which starts from one of the corners of the wrapper. Place each sheet on a clean chopping board so one of the corners is facing towards you, then place a small amount (1-2 tbsp) of mixture across the corner in a small sausage shape, about 2 inches away from the point. 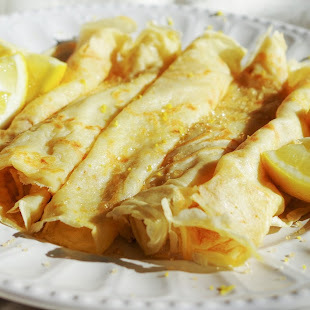 Fold the corner away from you, over the mixture, fold in the two sides and then push away from you to roll up fully. Place each spring roll on a baking tray and lightly brush with sunflower oil, then place on a lined baking tray and bake for 25 minutes, until golden and crispy. Allow to cool slightly, then serve with some sweet chili sauce and enjoy!